Frederic Stanley Kipping was the son of James Stanley Kipping, a senior official in the Manchester Branch of the Bank of England of which his father was the head. They lived at Higher Broughton, then a rural place on the outskirts of Manchester where James Stanley Kipping owned a small farm. He married Julia Du Val, the second child and eldest daughter of Charles Allen Du Val and his wife Elizabeth Renney. Their son Frederic Stanley Kipping was born there on 16 August 1863. Having been born on a farm, Frederic Stanley Kipping had a keen interest in the open-air life, and acquired practical experience in looking after animals. He and his siblings had a governess when very young, but in 1874 he entered Manchester Grammar School. He had become very interested in chemistry through a friend of his parents, their neighbour J. Carter Bell, the Public Analyst for Cheshire. He advised James Kipping that his son should become an analytical chemist. Practical chemistry at Manchester Grammar School in those days consisted mostly of qualitative analysis, without any understanding of its principles. During the school holidays young Frederic helped Carter Bell with his routine analyses. When he left school he spent a year at the Lycee de Caen. Having matriculated in London University in the First Division, he entered Owens College (later Manchester University) in 1879, by which time his parents had moved to a nearby mansion on Palatine Road. Frederic Kipping graduated as a zoologist in 1882. He obtained a post as chemist to the Manchester Gas Department in Rochdale Road, and later at Gaythorne Street. There his duties gave him useful laboratory experience but were not arduous, and when he finished work in the afternoon he often caught the train to Old Trafford to play tennis at the Northern Lawn Tennis Club. He stayed in the job for three years but as yet showed no particular interest in a career in chemistry. A family friend in Blackley strongly recommended that he study chemistry in Germany, and so he went to Munich University. There he studied closed carbon chains under the supervision of William Perkin junior and received a doctorate in 1887. On his return home he was appointed Assistant Professor of Chemistry at Heriot-Watt College in Edinburgh. In 1888 he married his cousin Lilian Florence Holland, known in the family as Lily. She was the daughter of Florence Holland who, like his mother Julia Kipping, was a daughter of Charles Allen Du Val. Frederic Kipping was elected Fellow of the Royal Society in 1897, and became Professor of Chemistry at the University College in Nottingham, where he stayed until his retirement in 1936. Florence Frida Kipping. She was born in 1889, and was also called Frieda, after D.H. Lawrence’s wife, who was a friend of her parents. Florence was married to Arthur R. Scott in 1912. Cyril Stanley Kipping 1892-1956. He became a distinguished headmaster and chess expert. Frederic Barry Kipping. He was born in 1901, and married Margaret G. Willkins in 1926. He became a Lecturer in Chemistry at Cambridge. Kathleen Kipping. She was born in 1904. Frederic and Lily Kipping spent many happy years in Nottingham, and made many friends there, including Professor Ernest Weekley and his wife Frieda von Richthofen, cousin of the aristocratic German flier. (Frieda Weekley later left her husband to live with the novelist D.H. Lawrence, eventually becoming his wife.) Back at the Holland family home in Bridgwater, William Perkin met Lily’s sister Mina, and they married. Perkin and Kipping together produced their textbook on organic chemistry, which went through many editions and was the standard book on the subject at least until the 1950s. After the First World War, Nottingham University College began to expand rapidly, and from 1922 plans were laid for a new building at what is now University Park, financed by Sir Jesse Boot, later Lord Trent. The new building was opened by the king in 1928, and Kipping became the first Sir Jesse Boot Professor of Chemistry. Frederic Kipping retired in 1936, and he and Julia together with a younger daughter took a house on the sea front at Criccieth in North Wales. 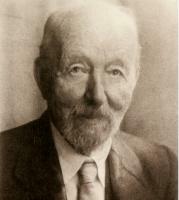 He had devoted much of his time to studying organosilicon compounds, publishing over fifty papers between 1899 and 1937. His work was taken up by the American firm Corning Glass who, with Dow Chemicals, set up Dow-Corning Corporation to manufacture silicone polymers from 1943. Frederic Kipping died on 1 May 1949, just as the commercial value of silicone polymers was becoming realised. The sad news reached colleagues on the very day that the first Chancellor of the new University of Nottingham was being inaugurated. (1) For a full account of his life and work see his obituary by Frederick Challenger in the Journal of the Chemical Society (1951) pages 849 to 862. Except where otherwise noted, content on this site is licensed under a Creative Commons Attribution-NonCommercial-ShareAlike 2.0 UK: England & Wales License.